The aircraft was tested in Syria so engineers now know what improvement to make. The Su-30SM multirole fighter jets that were added to the Russian military’s ranks in 2016 are set to receive a number of modifications that will enhance their capabilities even further. At the moment Moscow boasts 100 of the advanced aircraft. The model was baptized by fire in Syria during Russia’s campaign where they were used to combat terrorists. These missions were serious tests for the jets and highlighted both their strengths and points that could be improved. “We need to be clear. The Su-30SMs were never used in real battles before the Syrian operation. They were only demonstrated during air shows around the world...Now we have clarified a number of issues and prepared lists of recommendations so engineers will upgrade the aircraft,” a military source told Russia Beyond. According to the expert, the plane’s first upgrade will be the new SVP-24 Gefest (Hephaestus) targeting system, which will improve the accuracy of both guided and unguided weapons such as bombs and missiles. This targeting device will be integrated into all Su-30SM models alongside another navigating system dubbed SOLT-25. It’s an optic-electronic piece of tech that sharpens the plane’s navigation, allowing it to operate in incredibly harsh weather conditions day and night. 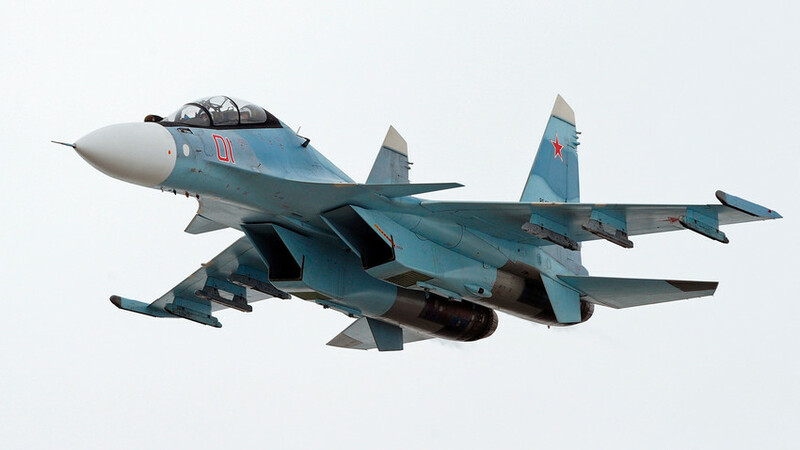 According to the Defence Minister’s Deputy Yuri Borisov, the Air Force plans to use the Su-30SM model for up to 40 years.